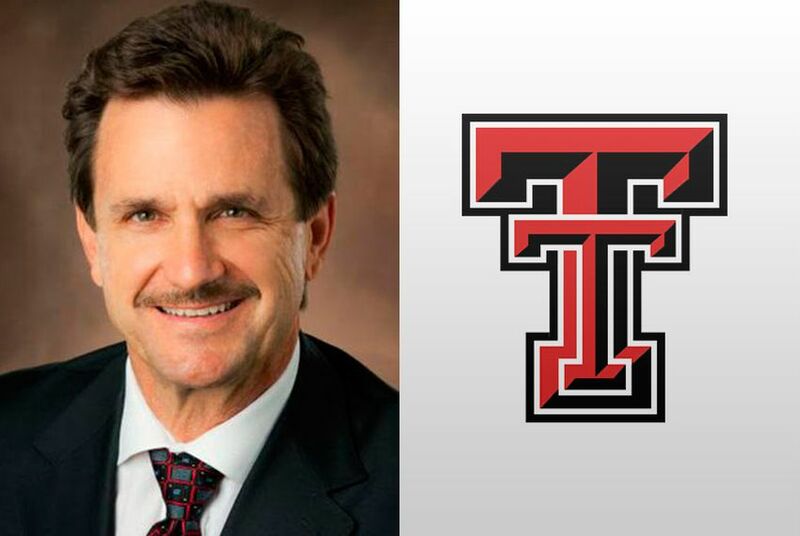 In an interview, Texas Tech University's new president describes his vision for the school, his love for Lubbock and the future of the Big 12. One thing is sure about Texas Tech University’s new president, Lawrence Schovanec: He loves Lubbock. That passion was likely a selling point for the Tech System Board of Regents. Schovanec’s predecessor, Duane Nellis, left his post soon after vying for — and missing out on — the top job at the University of Wyoming. During the interview, Nellis complained about his job at Tech, and those comments were published in the Laramie paper. Schovanec, meanwhile, has nothing but praise for the university, and says he’s thrilled to have been appointed to the top job in July. He joins at a time of optimism for the school. Earlier this year, Tech achieved a long-term goal of receiving the highest possible ranking for research activity from the Carnegie Classification of Institutions of Higher Education. But while Tech ranks in the top tier in that research-focused metric, Schovanec has his eyes on making Tech "tier one" in all aspects. One group in his sights: the American Association of Universities, which is the most prestigious group of research universities in the nation, and admits members based on an invite-only basis after a holistic review of the school. Ahead of the first day of fall classes on Monday, he spoke with The Texas Tribune about how he plans to do that. Texas Tribune: When you were being considered for this job, what was your pitch to the Board of Regents? Lawrence Schovanec: I tried to convey that Texas Tech was already in a good situation. And that I believe the progress we are going to make is part of the natural evolution of Texas Tech in its pursuit of tier one status and greater distinction. We don’t have to rebuild. It is not about rebuilding and starting from scratch. It means achieving certain metrics of success that give our student body the same kind of characteristics that we see in our aspirant peers — as reflected in higher retention rates, higher graduation rates and sort of the success measures that you think of with really elite schools. TT: When you say aspirant peers, who are you thinking of? TT: When you look at the elite schools, what do you see in them that you don’t see at Tech? LS: One of the areas that we really need to show progress in is in terms of our federal research expenditures. We have a respectable level of total research expenditures, but we would like to see more of that generated through federal support. TT: What about the student experience? LS: We have a six-year graduation rate of around 60 percent. We need to achieve a level of at least 70. And we have made progress in our one-year retention rates. [Note: Retention rate is the number of students who return for their second year of college.] Three or four years ago, we were around 80. And this fall, we will be over 84 percent. But our goal is to have a one-year retention rate of around 90. TT: How close do you think you are to being where you say you want to be? LS: Reputations don’t change overnight. Tech has a very strong reputation, but there is no doubt that we will have to continue to do the things I have discussed to solidify our reputation as a tier one school. Just because we showed up on the list of the Carnegie Highest Research Activity category doesn’t mean someone at the University of Michigan said, “Hey, Texas Tech is our peer.” It takes time and it takes results to change impressions. TT: What do you need from the state to accomplish those goals? LS: Well, I think we would agree that the most important thing to us is the formula [used to fund state universities.] We would like to see the formula funded at those pre-recession rates, when it was around $62 an hour [of class credit awarded.] Now it is around $54. But we have a large degree of responsibility for setting our own course. Philanthropy will be increasingly important. Tech has an endowment that we can be proud of. For the system, it is over $1 billion. For the university, it is around $600 million, and half of that is for scholarships. I’d like to see that increase by around $100 million in the next few years. TT: When you look at the next 10 years of higher education, what keeps you up at night? LS: Clearly, a concern is the cost. We all know that. So we have to make sure we are just as efficient and responsible as we can be. The issue of costs and affordability goes back to student success. TT: Texas Tech’s student body will soon be ¼ Hispanic. What does that mean for the school? LS: I believe last spring around 50 percent of the high school graduates [in Texas] were Hispanic, and the composition of the student body on campus needs to reflect student demographics. What we have done is intensify a lot of recruiting practices that focus on that population and have also implemented special programs on campus to make sure those students succeed once they get here. We have had a very significant increase in the graduation rate for black and Hispanic students. LS: But 80 percent of our student body comes from outside a 200-mile radius around Lubbock. If you look at the counties from which we recruit, except for Lubbock County, Harris County is number one and of course the [Dallas-Fort Worth] Metroplex is the greatest source of our students. So we are reaching into markets where we could probably attract more of these populations that you just mentioned. One thing we are going to try to do is grow our transfer population. I think this is going to help us address the issue. By 2020, we want to have 5,000 transfer students here. Right now, we are at 3,000. TT: There’s a lot of focus on Big 12 conference expansion right now. As president of a member school, you will have a vote. How are you approaching that? LS: Whatever can be done to strengthen the Big 12 so that there is not a perception that it is in a compromised position that causes angst among alumni and supporters is what we want to do. And I think there are many ways that can play out. TT: You joined a flurry of state leaders supporting the consideration of the University of Houston for the conference. How do you view UH in that dynamic? LS: Houston is a very strong institution academically and they have strong athletic programs. So when you look at all the candidates being considered, they make a strong case. But I am not the person making that decision. There have to be other presidents weighing in on that. TT: You came to Tech as a professor in the 80s. What has kept you in Lubbock all these years? LS: The connection of students to faculty and to each other is so strong here. And also, I was raised on a farm in Oklahoma and there are certain values and attitudes that are so natural to me. There’s this West Texas culture where people are ambitious. They are polite, they are open, they are unpretentious. They have great work ethic. Also, Texas Tech is an ambitious school, and I like being at a school that has an upward trajectory and a can-do attitude. That has never changed since I have been here. Tech wants to open a veterinary school in Amarillo, but may face resistance from Texas A&M and state leaders. How the University of Houston is using politics to try to get into the Big 12. Disclosure: Texas Tech University, the University of Texas at Austin, Texas A&M University, the University of North Texas, Rice University, the University of Texas Arlington and the University of Houston have been financial supporters of The Texas Tribune. Find a complete list of donors and sponsors here.